The best bloomer we've grown. Constant masses of fully dbl. 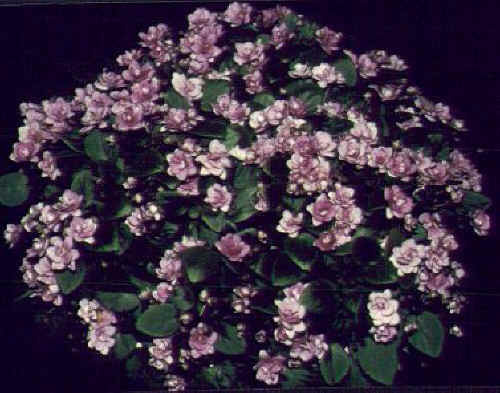 deep rose blooms, often mottled white on tips. Tons of bloom on excellent, tiny foliage. Great little semimini.